Popular TV shows like Law and Order and CSI: Crime Scene Investigation have introduced all of us to the fascinating world of criminal investigations. We get to see highly trained specialists gather vital clues in an effort to put criminals behind bars. One of the specialists that sometimes appears on screen is the forensic psychologist. Combining crime scene clues and witness interviews, the forensic psychologist creates a criminal profile of the crime suspect to aid investigators. Forensic psychology can be a very rewarding career, but it can be a demanding one. Here are some of the traits the job requires. A sincere interest in the workings of the human mind. The ability to pay attention to details and to work within established legal guidelines. A strong stomach. You may be exposed to extremely unpleasant surroundings if you are called to a crime scene. The ability to separate your personal feelings from your work-related decisions. The ability to work long hours and be “on call.” Crime and the judicial system in general do not keep regular office hours. If you have decided that this exciting and interesting career is the right choice for you, here are the steps you will need to take to make that dream a reality. Once you have graduated from high school — or earned your GED — you will need to earn your Bachelor’s Degree. Start by applying for acceptance to a college or university. Whether you decide to go to a traditional school or an online college, it is important that you find one that offers degrees in psychology. While studying, you will acquire a basic foundation in psychological principals, an understanding of the methods of psychological inquiry and the ability to think clearly and analytically. Additional course work in criminal justice, crime-scene investigation and even homeland security will give you a broad, working knowledge of the criminal justice system. Once you have your Bachelor’s Degree, you will need to earn a Master’s or Doctoral Degree in psychology. You can specialize in areas such as behavioral analysis, clinical psychology, or cognitive and brain sciences. Your classes may include applied research in human behavior, methodology of behavior analysis, comparative psychology and cognitive neuroscience. When you have your advanced degree, in most states you will still need to be licensed or certified before you can start your career. The Association of State and Provincial Psychology Boards (ASPPB) has information about licensing requirements in the U.S. and Canada and also has information for students who are interested in entering the profession. 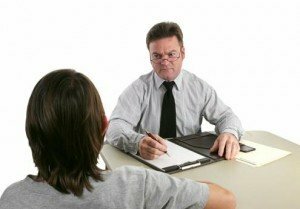 While it is not a requirement for becoming a forensic psychologist, you may also want to consider becoming board certified in your area of expertise. You can find important information about board certification on the American Board of Professional Psychology’s website. You can even start the certification process while you are still a graduate student through the ABPP’s Early Entry Program. If you would like to help solve crimes, advocate for victims of crime or even work as a jury consultant, consider becoming a Forensic Psychologist.